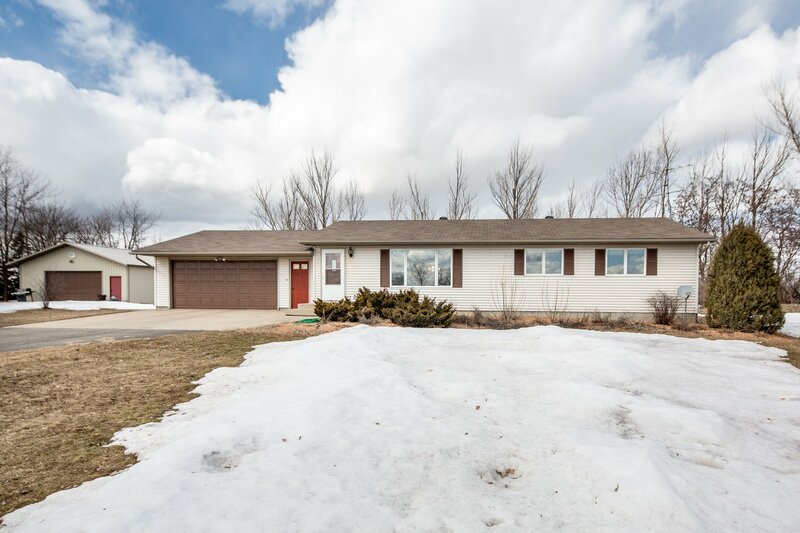 Benefit from the privacy of a rural setting without the commute with this 3 bedroom, 2 bath rambler on over an acre conveniently located close to Fergus Falls! This home features an eat-in kitchen with stainless steel appliances, 3 main floor bedrooms and full bath, lower level bath with tiled shower, central air conditioning, 2-stall attached garage, garden shed and a 30 x 32 metal shop with power and a concrete floor! Asking only $209,900! Message us at ryanhansonhomes@gmail.com or call/text Ryan Hanson at (218) 205-7351 with questions or to schedule a showing!